The ASUS RT-ACRH13 is one of the latest routers to be released by the Taiwanese company this year, with a clear focus towards the home users. 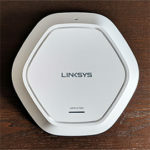 It came as a surprise to see an attempt to include some of the latest technologies from the networking world into a rather inexpensive device (the RT-ACRH13 uses the MU-MIMO technology), since lately, ASUS and the other manufacturers only produced high-end routers, with a clear focus towards large homes and small businesses. Does the world need an AC1300 router right now? Sure enough, some people realized that they may actually have no use for those high-end routers with crazy high numbers (AC5300, AD7200) and an AC1300 router would do just fine in most cases. 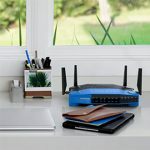 It’s true that ASUS has already covered the AC1200 zone with the RT-AC56U, but this isn’t a new device by any means, so, while the RT-ACRH13 may not feel like a breath of fresh air in the over-saturated networking world, it may have come just at the right time to reconcile the alert technological advancements and the actual people’s needs. That being said, let’s see how does the RT-ACRH13 perform. The ASUS RT-ACRH13 looks almost the same as the RT-AC66U and that’s because ASUS basically kept the same case, removed the middle back antenna and added two antennas on the side (high-gain 5dBi). So, there’s the same black and grey diamond pattern on top (doesn’t retain the fingerprints), the matte finish and the ASUS logo on the small black band towards the back of the router. With the release of the RT-AC87U, ASUS went for a more dynamic look and took inspiration from sport cars to create a fresh design, while still maintaining elements from the previous models. But, since the RT-ACRH13 is so similar to the N66U ‘Dark Knight’ and the RT-AC66U, it maintains that slight ominous look. While the RT-AC66U had a stand, so you could position it upwards, the RT-ACRH13 lacks this feature, so you can only position it flat on the surface. This is not a large router (it has the same dimensions as the RT-AC66U, 8.14 x 5.85 x 1.39 inches), but, because of the way the antennas are positioned, it will take up a bit of space from your desk, so, you may consider mounting it on the wall (it has two large holes on the bottom). Also on the bottom of the RT-ACRH13, there are four rubber feet that enhance the stability of the router (sure, it weighs 0.99 lbs, so it won’t really budge while using all the ports, but every element helps). Additionally, you can find a large label with printed info about the device (the IP address, the default user name and password, the MAC address, SSID and more). The case of the RT-ACRH13 provides enough ventilation, so the device remains cool: there are lots of vent holes on the bottom and on both the left and the right sides. Hiding into the diamond pattern on top of the router, there are six LED lights responsible for Power (if it flashing slow, then, it’s in Rescue mode, otherwise, if it’s flashing quickly, it means that the WPS is processing), WAN, 2.4GHz and the 5GHz WiFi radio bands (if the LED is flashing, it means that it transmits and receives data), for USB and for LAN. Furthermore, ASUS decided to position the USB 3.0 port on the front of the router (it is a good addition, but, since it’s on the front it will create a mess of cables). If you turn the router around, you are greeted by lots of ports and buttons: first, there’s a small recessed Reset button (accessible with a paper clip; it can return the system to the factory default settings), next, there’s the Power button, the Power DC-IN port, four 10/100/1000 BaseT RJ45 LAN ports, a 10/100/1000 BaseT RJ45 WAN port and a WPS button (press it to launch the WPS Wizard). Overall, the ASUS RT-ACRH13 doesn’t really bring anything new to the table in terms of looks, but, as usual, ASUS took an already successful design and added some new elements to make it more suitable for the new exigences (if it ain’t broken, why fix it?). Note: Package contains the RT-ACRH12 router unit, an AC adapter, a Quick Start Guide, an RJ-45 Network cable and a Support CD (with the User Manual). Inside the case, the ASUS RT-ACRH13 is equipped with a quad-core 717 MHz Qualcomm Atheros IPQ4018 CPU, 128MB/2MB (Winbond W25N01GVZEIG/Macronix MX25L1606EM2I-12G) flash memory and 128MB of RAM Nanya NT5CC64M16GP-D1 (the memory architecture should ensure that multiple devices receive a stable simultaneous download stream of data). 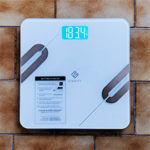 Furthermore, the 2.4GHz wireless performance is delivered by a 2×2:2 Qualcomm IPQ4018 chipset with a 2.4GHz Richwave power amplifier and the 5GHz wireless performance is delivered by a 2×2:2 Qualcomm IPQ4018 chipset, with a 5GHz Skyworks power amplifier. 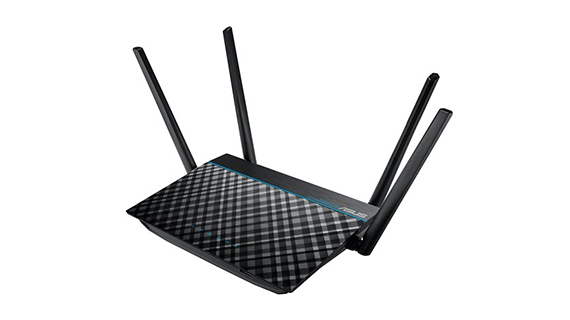 The RT-ACRH13 features a maximum theoretical speed of 876 Mbps using the 5GHz radio band and 400 Mbps using the 2.4GHz radio band (with the TurboQAM technology), so there’s a total of 1267 Mbps (rounded to 1300). Note: Also this year, Amped released the Artemis AC1300 RTA1300M, which has similar internal hardware. 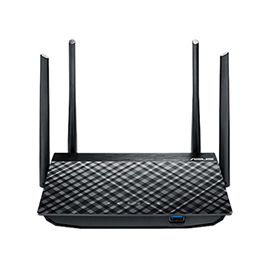 The ASUS RT-ACRH13 is a capable 2×2 dual-band router, equipped with the usual features and some more advanced technologies. 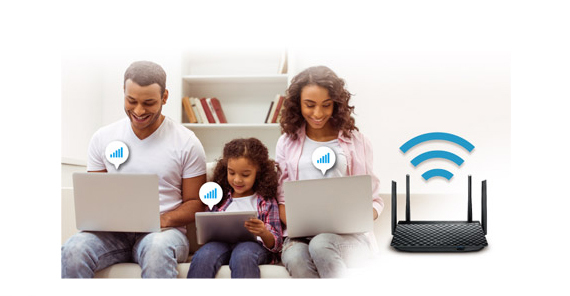 First of all, you get the Beamforming technology, which radically changes the way the wireless signal is being broadcast: instead of transmitting the signal everywhere, the router now scans the area, identifies the wireless devices that are connected and directly focuses on them. Second of all, the RT-ACRH13 uses the MU-MIMO technology. 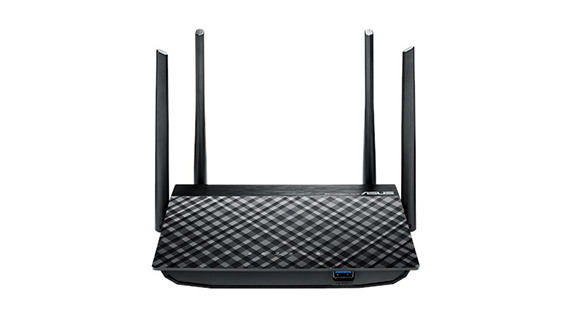 Right now, there are two major features implemented into flagship consumer routers: the MU-MIMO tech and the tri-band approach (Asus RT-AC3200). Obviously, the RT-ACRH13 would not be able to handle three separate radio bands, so it was natural that ASUS decided to go for the MU-MIMO implementation. The beauty of this technology consists into the ability to serve multiple clients at the same time instead of using the round-robin technique, where one device was served at the time (the RT-ACRH13 will make a difference with only two or three MU-MIMO device connected). Obviously, the cheaper the product, the less clients it can serve at the same time. 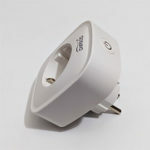 But there is one downside: in order to take advantage of the MU-MIMO tech, you need to have devices with compatible wireless adapters and, unfortunately there aren’t many on the market right now. So, while the router is clearly future-proof, you may have to wait for a while until this technology becomes more widespread. In order to test the wireless performance of the ASUS RT-ACRH13, I connected a 3×3 laptop and measured the throughput (a 1×1 client will get a lower wireless performance, so it is dependant on the wireless adapter of the connected device). So, using the 2.4GHz frequency, at close range (no more than 5 feet), I measured a maximum of 95 Mbps. Afterwards, I increased the distance to 15 feet and the router managed to deliver up to 81 Mbps. Lastly, at 100 feet, I measured an average of 20 Mbps. Next, I switched to the 5Ghz radio band (the 802.11ac standard) and at close range (about 5 feet), the RT-ACRH13 managed to go up to 446 Mbps. 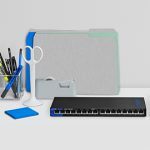 At 15 feet, the speed decreased to an average of 325 Mbps and after increasing the distance to 100 feet, the router managed to deliver up to 134 Mbps. Now, since the RT-ACRH13 is a MU-MIMO router, I am going to test how does it behave with the feature turned On and Off (so far, this technology will only address the downstream performance). So, I connected two computers, each with a compatible wireless adapter and with the MU-MIMO disabled, I measured an average of 220 Mbps. With the MU-MIMO feature enabled, I measured an average of 260 Mbps. 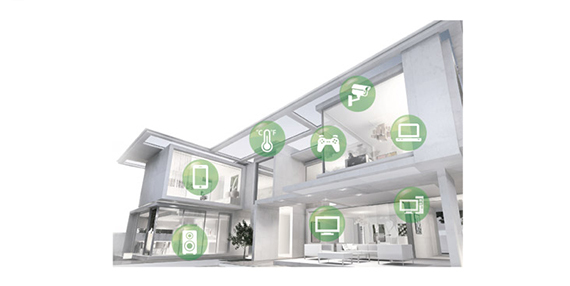 As expected, enabling the MU-MIMO feature, improves the wireless performance by about 20 percent. Lastly, in order to test the storage performance of the RT-ACRH13, I took a 1GB folder containing multimedia files and measured the write/read speed (the router works with almost all USB HDDs/Flash disks with a maximum of 4 TB). So, while reading the folder, I measured 24.6 MBps and while writing it, I measured 19.9 MBps. 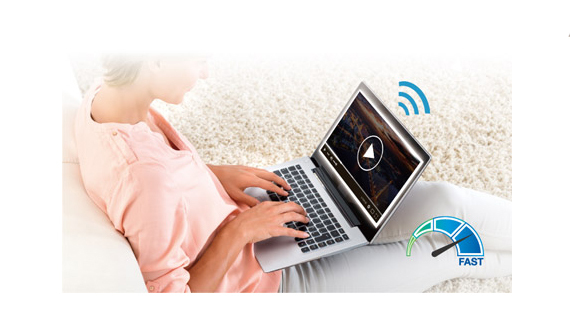 The ASUS RT-ACRH13 provides an intuitive and easy-to-use interface called AsusWRT, which can be accessed by opening up a web browser and going to https://router.asus.com. Here, you will be prompted to enter the user name and password (by default, it’s admin for both) and click Sign In to gain access to the interface. 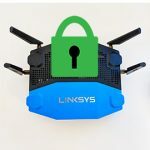 If it’s the first time you access the UI, it will automatically launch the Quick Internet Setup, which auto-detects your ISP connection (it can be Dynamic IP, PPTP, PPPoE or L2TP) and it will ask to insert the SSIDs for both the 2.4 and the 5GHz networks and the security keys. Click Apply so you can finish the initial setup. The main page looks pretty much the same as on the other Asus routers: there are three top buttons for Logging Out, Rebooting and Language and, underneath them, there’s an Info banner which shows the Operation mode, the Firmware version and the SSID. On the left there’s a bigger tab for launching the Quick Internet Setup and underneath, there’s the main menu for General and Advanced Settings. 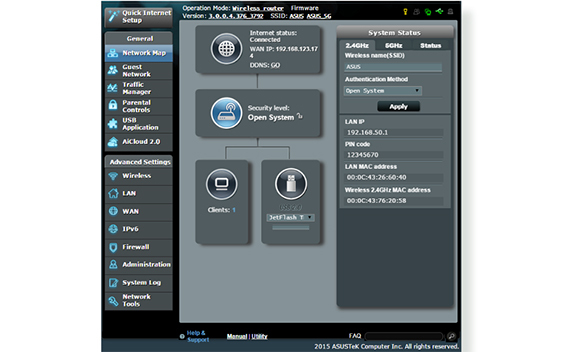 The General section features the following options: the Network Map (shows the status of the Internet, the Security level, the number of connected clients, as well as the System Status, which includes the quick setup of the 2.4 and the 5Ghz networks), the Guest Network (provides access to visitors to separate networks, with their own SSIDs, without allowing access to your private network; it supports 6 SSIDs, 3 for each radio band), the Traffic Manager QoS (here, you can enable the Smart QoS feature, which prioritizes the devices and optimizes the bandwidth; there’s also the Traffic Monitor, which gives a graphical representation of your wired and wireless traffic), the Parental Controls (which use time schedules and web filters to maintain a clean browsing experience and it’s useful for blocking malicious sites), the USB Application and the AiCloud 2.0 (allows you to access your home network through the AiCloud mobile app, which is compatible with iOS and Android; it includes Smart Sync, Sync Server, Settings and Log). 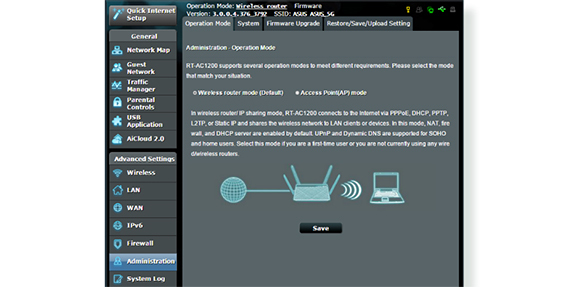 The Advanced Settings section has the following options: Wireless (it allows you to do a basic configuration of your wireless network, configure the WPS via the PIN code or by using the WPS button, control the packets from the connected devices through the Wireless MAC Filter, access the RADIUS Setting or access the Professional section, which gives you in-depth settings to your wireless network), LAN (configure the LAN IP, the DHCP Server, the Router and the IPTV), WAN (configure the Internet Connection, the Port Trigger, the Virtual Server / Port Forwarding, DMZ, DDNS and NAT Passthrough), IPv6, Firewall (you can configure the General Settings, the URL Filter, the Keyword Filter, the Network Services Filter and the IPv6 Filter), Administration (here, you can choose the Operation Mode – it can be a Wireless router or an Access point; configure the System settings – includes enabling Telnet, choosing the Authentication Method, enabling Web Access from WAN, creating a Client List and more; perform Firmware Upgrade and Restore/Save/upload Settings), System Log and Network Tools. Note: The RT-ACRH13 will have no Merlin support. Overall, the ASUS RT-ACRH13 is a good entry-level router, offering, a nice interface with lots of features, a good looking case (even if it’s not a new design concept, it’s still modern enough), it has some of the latest technologies implemented and a reasonable wireless performance on both the 2,4 and 5Ghz radio bands, all at a surprisingly low price. So, if you’re on the look for an inexpensive router, packed with features, suitable for home use, then the ASUS RT-ACRH13 is the best choice so far. Thank you for the informative review. I was in the market for a cheap, no-frills upgrade to my aging n900 router and was stuck between this Asus and the TP-Link Archer C1200. 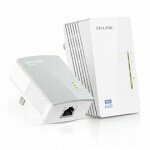 I bought the Asus but now wonder if I should have opted for the TP-Link. Would there be any notable difference between the two or does it not even matter at this price point? The Asus ACRH13 is better equipped in terms of features, but that may not mean much if you don’t have compatible devices (such as computers with MU-MIMO or Beamforming wireless adapters). The TP-Link Archer C1200 seems to be a more simple router and from my experience with TP-Link, it should do its job in a proper way (I haven’t got the chance to test it, yet). 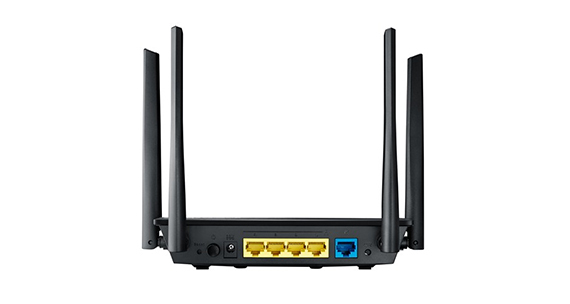 But, in the end it all comes down to your needs from a router: if you don’t use any of the advanced technologies, then you won’t really see much difference between the ACRH13 or the C1200 and that’s something available for 100+ dollars routers as well. If you’re afraid the Asus may not perform well in your home, you should have the option to return it within a certain period of time. Which one would you recommend ACRH13 or N66u ? 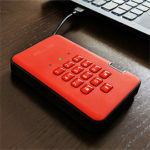 It depends on your budget and the type of devices you need to connect to the network. 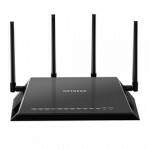 The N66U is a bit outdated and does not support the 802.11ac standard (although it is dual-band = 2.4GHz and 5GHz), but it is a stable router and overall, people have been happy with it over the years, while the ACRH13 is also dual-band, it supports the 802.11ac standard and is newer (therefore, more future-proof and if you have compatible MU-MIMO devices -there aren’t many on the market- know that the ACRH13 supports the MU-MIMO tech). Thanks for the reply. The n66u has plenty of custom firmwares available whereas the same can’t be said about ACRH13. Is there any possibility of ACRH13 getting custom firmwares in the near future ? The only ones that I know for sure to have taken an interest into the ACRH13 are the guys from the LEDE Project. Merlin will 100% not be supported in the future and, so far, DD-WRT, OpenWRT and Tomato have not shown any signs of developing anything for the ACRH13. 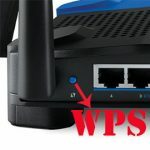 dose it have its on wi-fi are do i have to be connected to att wi-fi or some other wi-fi company? I guess you’re asking if it can connect directly to the ISP? If so, then no, you need to also use a cable modem between the ISP (Internet Service Provider) and the router. 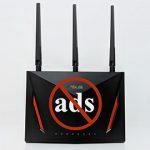 If you are asking if the ASUS RT-ACRH13 is an WiFi router, then sure, it has two radios (2.4GHz and 5GHz) and allows you to connect any compatible wireless device.